Dr. Jerry P. Young grew up in Southern California and has been practicing dentistry since 1982. He attended Mt. San Antonio College and Cal Poly, Pomona before obtaining his Doctor of Dental Surgery degree from Georgetown University’s School of Dentistry in 1982. He received the Omicron Kappa Upsilon Honor Dental Society Clinical Diligence Award for Excellence in Clinical Achievement. Dr. Young then completed a General Practice Residency at Los Angeles County-University of Southern California Medical Center. He is currently a member of the American Dental Association, the California Dental Association, the Tri-County Dental Society, the Orange County Academy of Cosmetic Dentistry, and is a Fellow in the Academy of General Dentistry. Outside of the practice, Dr. Young’s hobbies include biking and restoring his old truck. He has been married to his wife and partner, Dr. Maureen Short, since 1983 and they have three children together. Originally from New Jersey, Dr. Maureen Short graduated from the College of Saint Elizabeth with a B.S. in Biology. 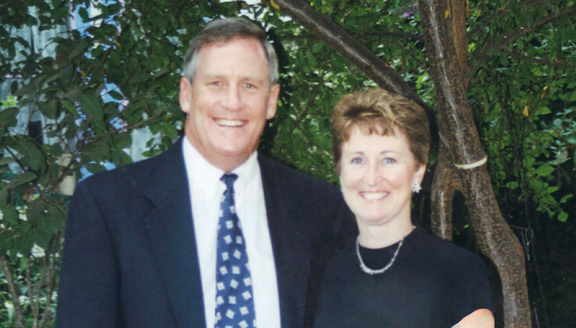 Upon graduating from Georgetown University’s School of Dentistry in 1982, Dr. Short received the Patrick A. McCole Memorial Award for Excellence in Pediatric Dentistry. She then went to Mount Sinai Hospital in New York for her General Practice Residency and, in 1983, Dr. Short moved on to the University of California, Los Angeles where she was the Chief Resident in Pediatric Dentistry. Working with children has always been a joy for Dr. Short; there is nothing more precious than a child’s smile. Dr. Short is a Diplomat in the American Academy of Pediatric Dentistry and is currently a member of California Society of Pediatric Dentistry, the California Dental Association, and American Dental Association. When not practicing pediatric dentistry, Dr. Short enjoys reading and taking adventurous trips—in 2005, she hiked the Grand Canyon rim-to-rim and she is the Queen of Zipline! She has been married to her husband and partner, Dr. Jerry Young, since 1983 and they have been blessed with three wonderful children.